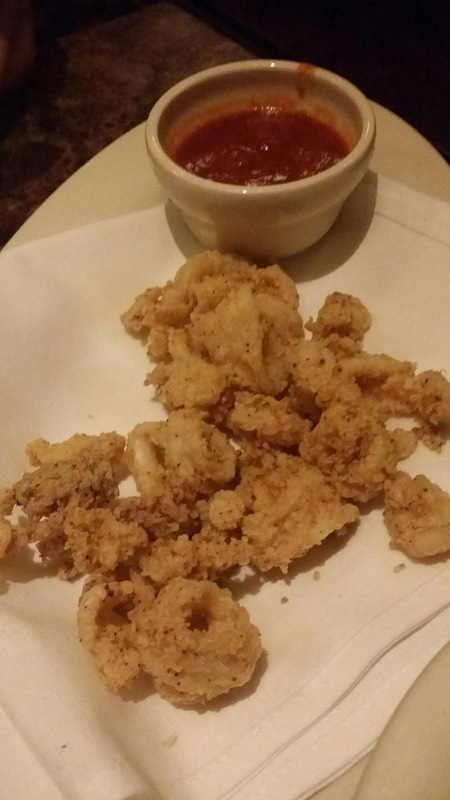 Our starters were the Maggiano salad (not pictured) and the calamari fritti, which were excellent but not as abundant as in the past. 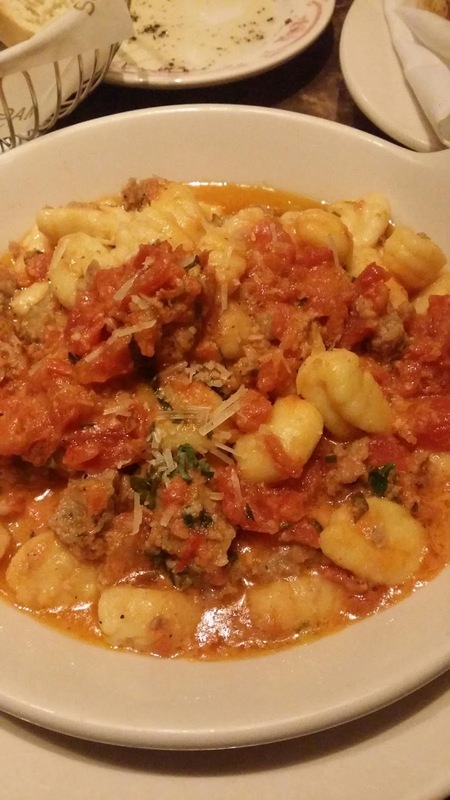 For the main course, David got a sausage-ziti dish, and I got a sausage-gnocchi in tomato cream sauce. I thought the sausage and the tomato sauce were great, but maybe my buddy Charles nailed it: it is indeed possible to mess gnocchi up. The pillows of potato pasta were surprisingly limp and lifeless, deflated and defeated. 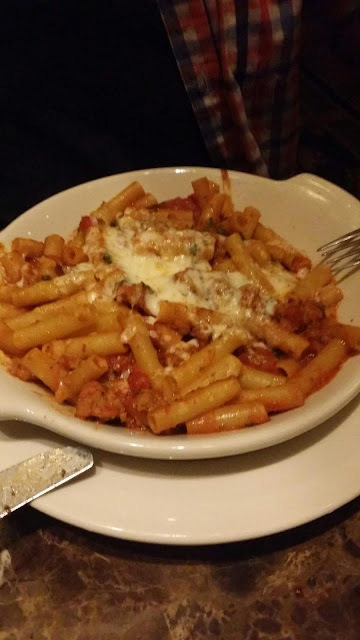 That had to be the most disappointing dish I've ever had from Maggiano's. Thank Jesus for the dessert, though. David got something called "butter cake," which he let me try. 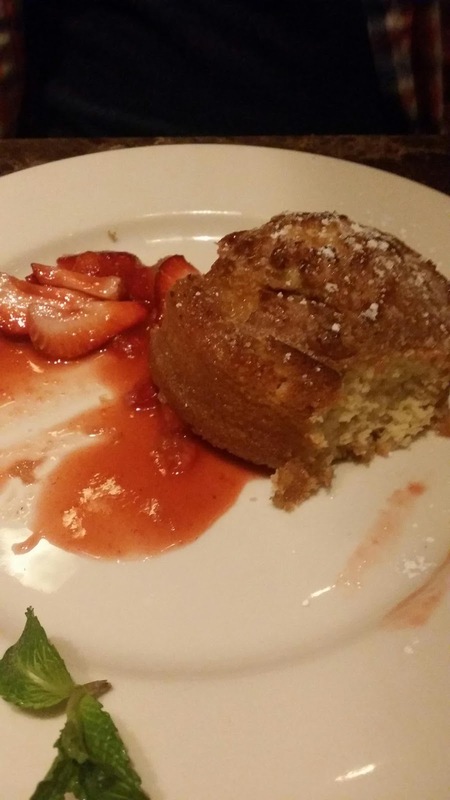 It was incredible: if butter could magically take the form of a cake, this would be it. 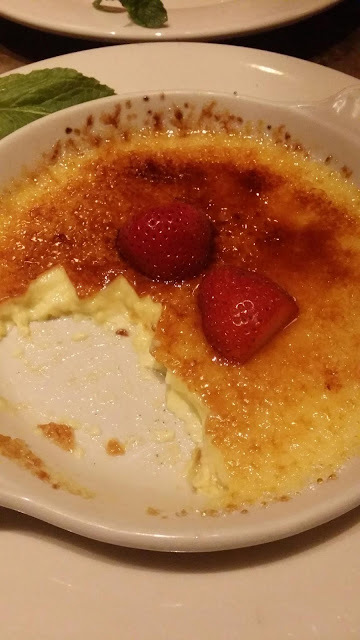 I got my usual hypertrophic crème brûlée, an eight-inch plate of awesomeness that did not disappoint. All in all, it was a fine meal, but I'll be avoiding Maggiano's gnocchi from now on.